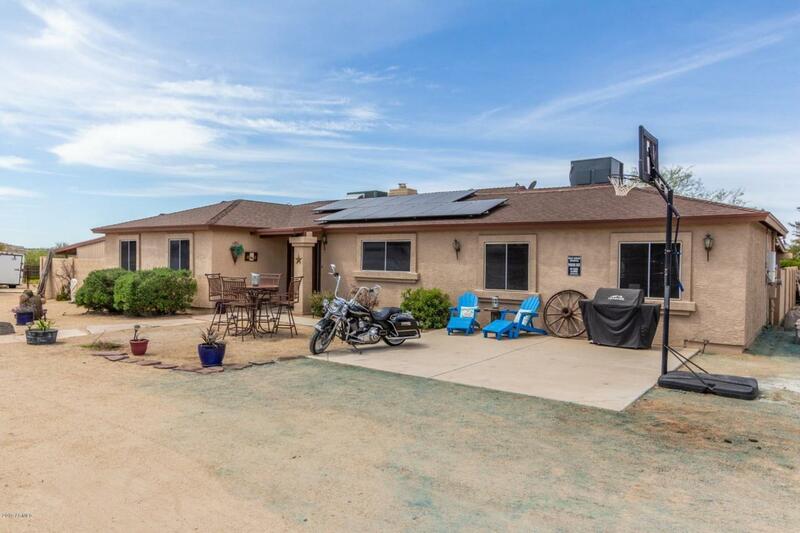 Looking for that special home where there is enough room for your horses, RV and toys? This is it! Original garage converted into a large family room just off the kitchen. A detached two car garage is extra large. Bring your RV or invite friends to visit with theirs. So many special touches that this darling home has-a new country kitchen with a charming butlers pantry to boot! Large fireplace to cozy up to in the winter. Covered back patio and sparkling pool to refresh after trail ridding. Efficient owned SOLAR panels installed 2017. Cave Creek Water, BIG PLUS!Welcome home!